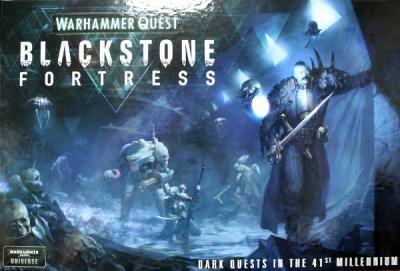 The Blackstone fortresses are an iconic structure in Warhammer 40k, most of them are destroyed after the 13th Black Crusade and the destruction of cadia. Yet from the edges of the galaxy a new Fortress has emerged. Will you plunder its depths and loot all its knowledge and wealth? Or will you join the piles of bones in its forgotten caverns? There's only one way to find out..
A fantastic boxed game filled with characters! New models across the entire set!